A new down tempo-progressive compilation by DJ Zen is coming to celebrate the building warmth and energy of May! This new series in the same vein of the "Elements", will be offered with the same environmentally conscious packaging and feature the anticipated return of the spine for collectors! One installment of this compilation will be released each season in an ongoing yearly cycle! Altar Records artists were given the task to build tracks under the theme of “Spring”. 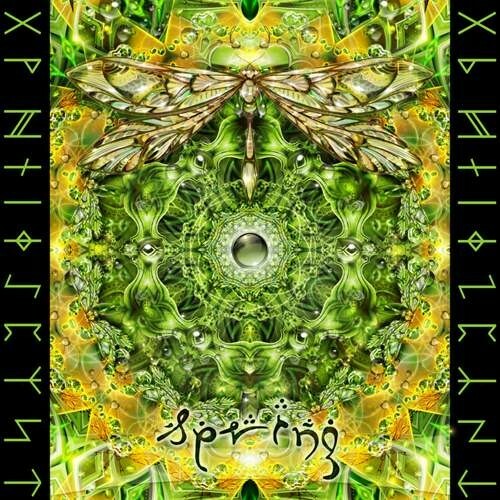 The result is an incredible and fresh mix of beautiful psychill and trance tracks created by some of the most well known psychedelic down-tempo artists such as Asura, AstroPilot, Cabeiri, Dense, Lab's Cloud, Sangeet, Suduaya, and features a heart-touching track made in collaboration between Reasonandu and A. Enescu (A former member of the worldwide acclaimed and award-winning act “Enigma”). All off this finishes off with superb closure with an amazing down tempo/trance track from Akshan! Let us draw upon the renewing energies of Spring to refresh up ourselves, clear our minds of the dust from a long winter, and move our asses while we prepare for the most intense vivid season! Enjoy!